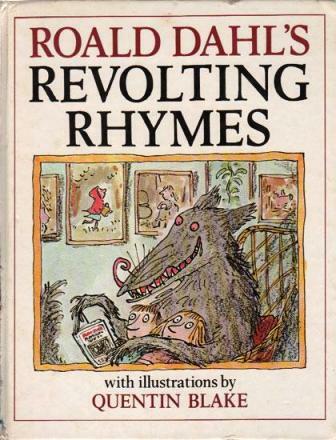 Revolting Rhymes is a collection of Roald Dahl poems published in 1982. A parody of traditional folk tales in verse, Dahl gives a re-interpretation of six well-known fairy tales, featuring surprise endings in place of the traditional happily-ever-after finishes. The poems are illustrated by Quentin Blake. It is the shortest children's book he has written.